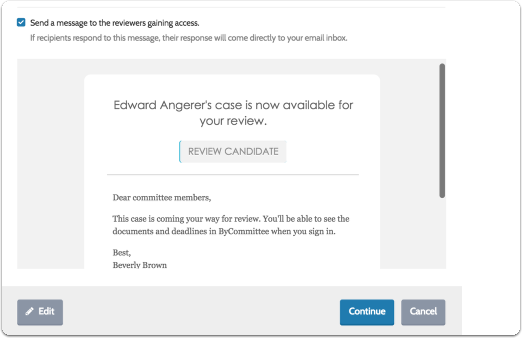 Once a case has been advanced to the first step in the workflow, an Administrator or Committee Manager can move the case forward or backward to another review step. 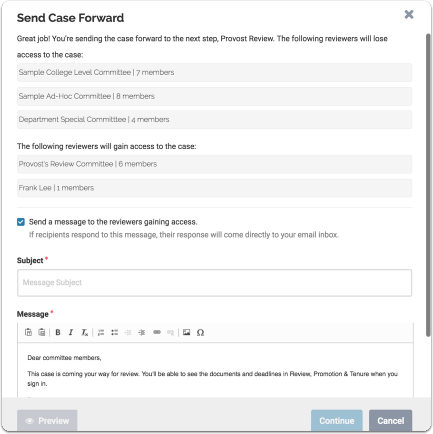 When a case is moved, the Administrator or Committee Manager can send an optional email message to members of the committee gaining access to the case with the move. 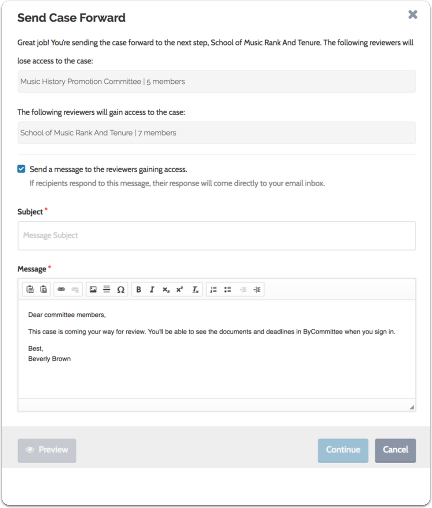 When creating or editing a template or case, Adminstrators can designate which committees are allowed to move a case forward in the workflow. If any committee at a given workflow step has committee document requirements, all doc requirements must be satisfied before the case can be moved forward to the next step. Click 'Send Case" to the right of the page, and select "Forward to..."
The forward and backward options will appear greyed out if you cannot move the case either forward or backward. You will see the name of the committee gaining access, and the committee losing access. 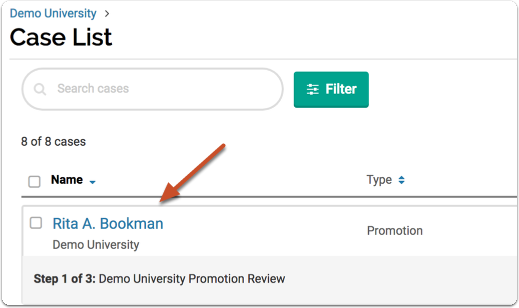 By default, the box is checked for you to "Send a message with this change" to the receiving committee, but this is optional.